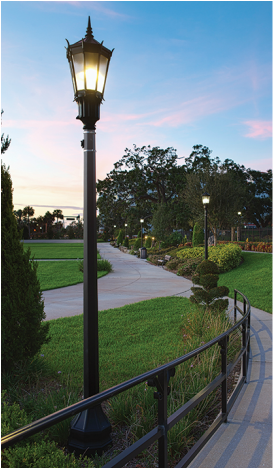 If you have commercial parking lot lighting, warehouse lighting, Stadium lighting, or just exterior building lighting needs, Quantum Sign Corporation can find the area lighting fixtures that are perfect for the job. We carry drop lens lights and shoebox parking lot light fixtures that range from 12 inches to 22 inches. We also carry a number of accessories that help ensure a successful installation. We have access to a huge number of parking lot light fixtures so if you have not found the "perfect fit", you are looking for, give us a call and we can find what you need.